Here we go again, another attempt to link aluminum adjuvants in vaccines to something, despite the lack of real evidence for anything. Recently, an attempt by the disreputable pair of anti-vaccine researchers to show a link between aluminum adjuvants and autism was retracted by the journal. Several researchers have proposed a systematic review (which are considered to be the pinnacle of the hierarchy of biomedical research) to determine if there are any links between aluminum adjuvants in vaccines to some medical condition. Read that carefully – this paper does not provide any new evidence, it is merely a description of their reasons for looking at aluminum along with the meta-review protocol. Mostly, I’d ignore these type of papers, because they aren’t providing us with any new information about vaccines. But in this case, I wanted to point out a bunch of flaws in their reasoning, which seems to indicate a high degree of bias. Therein is the problem – systematic reviews are powerful tools in science-based medicine, but many of these systematic reviews are filled with a large amount of bias. And this study is starting from a very biased point of view. Aluminum adjuvants – what’s up? This type of adjuvant can act as a reservoir for the antigen so that it will be presented over time, which helps maximize the immune response. Oil emulsions like squalene are commonly used to create this antigen reservoir. Another type of adjuvant can act as a temporary “irritant” to the immune system which amplifies the immune response to the antigen. Typically, aluminum salts are used for this type of adjuvant. Aluminum adjuvants have been used for over 70 years in vaccines without any evidence that they cause harm. Unfortunately, these adjuvants have only become an issue for the anti-vaccine world because they keep running out of real science to support their beliefs about the safety of vaccines. The amount of aluminum in vaccines (and remember, only a few vaccines have aluminum) is measured in micrograms. The maximum allowable amount of aluminum in a vaccine is 125 µg. Based on the recommended schedule of vaccines, the maximum amount of aluminum an infant could be exposed to over the first year of life would be 4225 µg (or 4.225 mg). Let’s put this into context – a newborn baby averages body burden of about 384 µg of aluminum. In addition, typical concentrations of aluminum in breast milk (10-49 µg/L), soy-based infant formula (460-930 µg/L), and milk-based infant formula (58-150 µg/L) mean that the dose of aluminum from these sources far exceed the dose of vaccines in just a few weeks. A baby also inhales several thousand micrograms of aluminum per day, unless they live in some bubble with ultra-pure air. As I constantly mention, the dose makes the poison. And these doses of environmental and vaccine aluminum are far below the minimum risk level for the body burden of aluminum. Only if you assume that the body cannot clear aluminum (usually only in the case of kidney failure), the cumulative dose of the metal doesn’t actually matter. There is a trope, pushed by the anti-vaccine world, that somehow injecting aluminum is much different than consuming or inhaling it. This is simply not based on any science known to the biomedical world. The kidneys filter out most of the aluminum salts way before it accumulates. Furthermore, inhaled and ingested aluminum occurs every single day unless your baby doesn’t eat or breathe, whereas the tiny dose of injected aluminum occurs infrequently. One of the bases of the fear of aluminum is the belief that aluminum causes Alzheimer’s disease (or other neurodegenerative conditions). Again, there is little evidence to support this belief, unless someone has kidney failure, which means aluminum (and many other toxins) aren’t filtered out of the blood. This causes blood levels of aluminum that are orders of magnitude higher than what we would ever see with vaccines. Again, the dose makes the poison – the human physiology has an amazing capacity to cleanse the blood without much trouble. A tiny amount of aluminum is essentially nothing to a baby. Enough with the biochemistry of aluminum. Let’s move on to an examination of the proposal itself. This systematic review is being proposed by the Cochrane Library probably the premiere group of researchers who perform regular reviews of the biomedical literature. For many of us who debunk popular myths in medicine, it is our first step in finding the best evidence to support or refute that myth. However, Cochrane is far from perfect. Many of their publications about junk medicine, including homeopathy and acupuncture, have exhibited an incredible amount of bias although Cochrane is trying to improve this by moving closer to the demands of science or evidence-based medicine. When I read the literature on these topics, I do so with extensive knowledge and, in the case of ID, 30 years of clinical experience. The extensive knowledge, and, one hopes, understanding, has led me to read meta-analyses with a grain of salt substitute. They average meta-analysis and systematic review is good for gaining a general understanding of the topic within, as well as, and here is the key phrase, the limitations of the included studies. Thus, no matter what this proposed study tell us, we have to examine the article carefully. I am very concerned that the authors for this proposal are looking for evidence to support their pre-ordained conclusion. For example, the authors of this proposal are closely associated with the Cochrane Nordic Group which has pushed a claim that HPV vaccines are related to CRPS (complex regional pain syndrome) and POTS (postural orthostatic tachycardia syndrome). They have also complained that the European Medicines Agency (EMA), who regulates pharmaceuticals in Europe, have ignored the evidence about CRPS and POTS. In fact, they seem to have claimed that there is some malfeasance with respect to their decision about the safety of HPV vaccines. …the Committee’s examination of the scientific evidence was complete and independent…thus deemed to have been conducted in full independence of the relevant scientific experts. If this were all that concerned me, it would be pretty weak. But the authors showed an inordinate amount of bias in their background section, something that raises a lot of troubling flags. The authors refer to VAERS (the Vaccine Adverse Event Reporting System) that is used in the United States as a passive system to report claimed adverse events after vaccination. Unfortunately, VAERS is just not a very scientific way to examine adverse events from vaccines. It cannot be used to show any correlation, let alone causality, between the vaccine and the event. The authors cite the anti-vaccine “research” duo, Shaw and Tomljenovic, who recently had a paper retracted because of what appear to be mishandled results. The paper they cite does not present any scientific evidence about HPV vaccines (which seem to be the target of this proposed review), it’s a rant about what they believe, without any evidence, about the approval process for Gardasil. They didn’t just cite this paper twice in the background. But it gets worse, the authors cite another paper, twice, from Shaw and Tomljenovic, which was published in a very low impact factor, predatory journal. A recent animal study by Inbar and colleagues managed to spark further controversy by demonstrating behavioral abnormalities in mice administered the aluminium-containing HPV vaccine Gardasil (Inbar 2016a). 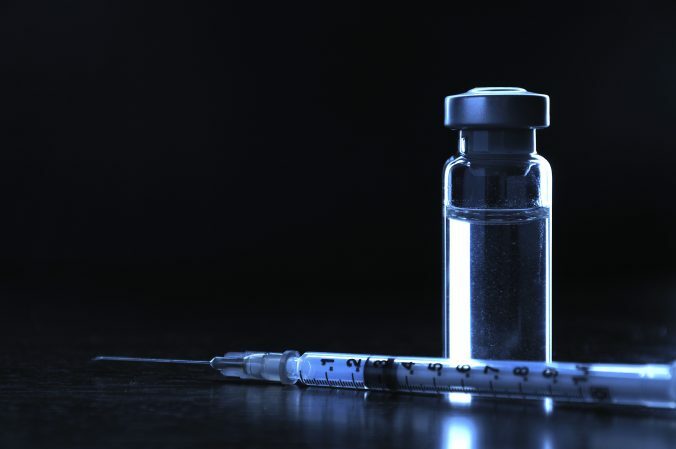 Compared to previous animal studies on HPV vaccines, the authors included two control groups: one where mice were administered aluminium adjuvant alone and another with placebo without adjuvant (Inbar 2016a). Inbar and colleagues concluded that Gardasil via both its aluminium adjuvant and HPV antigens can trigger neuro-inflammation and autoimmune reactions, leading to behavioural changes in mice (Inbar 2016a). Upon submission to a peer-reviewed journal, the paper was accepted with revisions, and published. However, it was soon withdrawn by the editor (Inbar 2016), only to be published in a competing journal shortly thereafter (Inbar 2016a). The initial withdrawal was allegedly due to “unsound scientific results”; an assertion which was not supported by the final publisher. The final publisher, Immunologic Research, appeared to have no concern about the scientific soundness. But then again, that journal is a low impact factor, open-access journal, which may not have the peer-review resources as Vaccine, a respected journal in the field. The original, and the republished version which appears to be word-for-word exactly the same were roundly criticized by many scientists, including myself and the reclusive Dr. Orac. In their background section, they included other well-known anti-vaccine, while seemingly ignoring high-quality reviews that have refuted links between aluminum adjuvants and adverse events. Or that have shown that there are no links between the HPV vaccine and adverse events. I know this isn’t a scientific statement, but I’m getting a bad feeling about this article. It appears to be heading down the rabbit hole of author bias at Cochrane. Although much of the protocol seems to be the standard methodology for doing a systematic review, I noted a few points of bias that always bothers me. High risk of bias: the trial was sponsored by a pharmaceutical company, a person, or a group with a certain financial or other interest in a given result of the trial. One more note. This is a post-marketing study sponsored by Merck, which, of course, manufactures and markets both versions of Gardasil. I’m not naive, I know some of you will immediately dismiss it because Merck was involved. It’s a form of the Big Pharma shill gambit, where evidence is ignored as long as someone can make an accusation of Big Pharma money influencing the results. If someone is going to assert that results are tainted by funding, then please provide the evidence that there is some unethical behavior. A post-marketing study is very expensive, costing several million dollars or more. Merck cannot do these studies without access to researchers across the world. I’ve said this before – maybe the anti-vaccine forces are willing to sell their morals and ethics for a few thousand dollars. However, they probably shouldn’t reflect their unethical beliefs onto others. Unless there is some real evidence of real malfeasance, most researchers would publish evidence irrespective of whether it helped or hurt the the funding source. If the authors of this study are going to eliminate vast swaths of research about aluminum adjuvants, they better bring something more than some logical fallacy to do so. I want to make this clear right up front. This proposed study has shown us nothing – it is outlining a protocol to do a systematic review of the literature regarding aluminum adjuvants and adverse events. It seemed to cherry pick a bunch of articles in the background section that indicate an a priori rather than a true scientific hypothesis. In fact, the proposed study is filled with bias against vaccines in general, and aluminum adjuvants in particular. To give the group the benefit of a doubt, they could do an unbiased review that shows us something or nothing. We’ll see. Ameratunga R, Gillis D, Gold M, Linneberg A, Elwood JM. Evidence Refuting the Existence of Autoimmune/Autoinflammatory Syndrome Induced by Adjuvants (ASIA). J Allergy Clin Immunol Pract. 2017 Sep 6. pii: S2213-2198(17)30517-2. doi: 10.1016/j.jaip.2017.06.033. [Epub ahead of print] PubMed PMID: 28888842. Djurisic S, Jakobsen JC, Petersen SB, Kenfelt M, Gluud C. Aluminium adjuvants used in vaccines versus placebo or no intervention (Protocol). Cochrane Database of Systematic Reviews 2017, Issue 9. Art. No. : CD012805. DOI: 10.1002/14651858.CD012805. Inbar R, Weiss R, Tomljenovic L, Arango MT, Deri Y, Shaw CA, Chapman J, Blank M, Shoenfeld Y. Behavioral abnormalities in female mice following administration of aluminum adjuvants and the human papillomavirus (HPV) vaccine Gardasil. Immunol Res. 2017 Feb;65(1):136-149. doi: 10.1007/s12026-016-8826-6. PubMed PMID: 27421722. Macki M, Dabaja AA. Literature review of vaccine-related adverse events reported from HPV vaccination in randomized controlled trials. Basic Clin Androl. 2016 Nov 21;26:16. eCollection 2016. PubMed PMID: 27895921; PubMed Central PMCID: PMC5116857. Mitkus RJ, King DB, Hess MA, Forshee RA, Walderhaug MO. Updated aluminum pharmacokinetics following infant exposures through diet and vaccination. Vaccine. 2011 Nov 28;29(51):9538-43. doi: 10.1016/j.vaccine.2011.09.124. Epub 2011 Oct 11. PubMed PMID: 22001122. Tomljenovic L, Shaw CA. Too fast or not too fast: the FDA’s approval of Merck’s HPV vaccine Gardasil. J Law Med Ethics. 2012 Fall;40(3):673-81. doi: 10.1111/j.1748-720X.2012.00698.x. PubMed PMID: 23061593.